Tuesday was a long night, and a pleasant surprise in the morning. I initially kept this post short and sweet since I was so busy afterwards, but now I’ve had some time to compile an analysis and results. LA Times said the “blue wave keeps rolling“. Status: #fakenews. All the races they were monitoring show a Republican on top. We have a Republican candidate for governor in November, as well as almost every race with a Republican in it. Furthermore, Josh Newman was recalled and replaced with a Republican, ending the Democrat supermajority in Sacramento. The races I’m seeing here show a state frustrated with Democrats and amenable to Republicans again. Meanwhile we as Republicans are suffering growing pains. The LAGOP did not want Omar Navarro to win but couldn’t figure out how to organize someone better. Meanwhile, the Travis Allen people convinced themselves nobody was voting for Cox – a classic pitfall of groupthink. But let’s remember where our power is – it’s in individuals ready to go and run and face the Democrat machine, and patriots ready to hit the streets for us. If we put our differences aside and start thinking like a party, we will throw a real wrench in the Democrat chokehold on the state come November. Up until now, we’ve just been cruising along. All my colleagues who sailed with me in a primary with only two candidates know now is where the real campaign begins. And we’re ready. We have some major news coming down the pipe, and I will be speaking next Tuesday at a GOP-only meeting. If you’d like to come, drop me a line. Governor: Newsom 33%, John Cox 26%. We got a Republican on the ballot! Villaraigosa 13%, Allen 10%, Chiang 9%. Strong showing for GOP overall, congratulations to Allen supporters for all your enthusiasm. 37th congressional district: Karen Bass had 61100 votes, I got 7800 votes (89%/11%). We know there’s a lot of long term work for us in this district. Senate race: The top two senate candidates were Democrat (Feinstein and De Leon), but the next six senate candidates were all Republican. We spread out over 1,000,000 votes among six candidates, while De Leon won the second slot with just over 400,000 votes. This is part of the work ahead of our party for the next couple of election cycles. We were all looking for a candidate to rally around but people were all over the place, with no coordination. On a side note, I have to say I was impressed with Arun Bhumitra’s 4th place finish. I hadn’t heard of him until a couple months ago, but apparently he’s been getting around. And again: Josh Newman was successfully recalled! Thus ending the Democrat supermajority which led to the disastrous gas tax. In LA County, he lost 57-43. Ling Ling Chang (R) will succeed him at 32%, with Joseph Cho (D) behind at 23%. This is more proof that Republicans have issues we can mobilize over. 43rd congressional district: Omar Navarro will be facing Maxine Waters. Frank DeMartini got third. Prediction: Omar will lose to Maxine, and this will lead to serious conversation in the GOP about vetting and unifying behind a proper candidate for 2020. 33rd congressional district: Kenneth Wright advances to face Ted Lieu. 54th assembly district: Glen Ratcliff got third. Tepring Piquado got 15%, Glen got 13%. This sits on my congressional district and Glen is a friend of mine. Again, lots to do in this district. 30th senate district: also sits in my congressional district. Holly Mitchell is running unopposed. We need to find someone to run in every race. Don’t care if we draw straws and the loser runs. 66th assembly district: Frank Scotto advances with 45% of the vote. This will be a close race in November and the LAGOP is heavily behind it. 62nd assembly district: Al Hernandez advances automatically. 28th congressional district: Johnny J. Nalbandian will face Adam Schiff. 25th congressional district: Steve Knight got 53%. This was one Democrats were hoping to make inroads in. This is Palmdale, which stands to lose the most if Prop 13 falls – all blue collar homeowners. 41st congressional: Aja Smith automatically advances. Propositions: 68 yes, 69 yes, 70 no, 71 yes, 72 yes. Lieutenant Governor: Cole Harris got third. Final race is between Kounalakis and Ed Hernandez. Secretary of State: Mark Meuser finished strong with 32% of the vote. Keep in mind this guy ran a campaign purely on gas miles. No political machine propped him up. Amazing and worth emulating. No money can substitute for getting out there and shaking hands. Attorney General: Steven Bailey advances with 25% of the vote. Eric Earlyfinished strong with 15%, impressive considering he didn’t get the GOP endorsement. Great guy, hope he runs again soon. 44th congressional district: Jazmina Saavedra came in 3rd with 10% of the vote. Really low turnout here, incumbent Barragan got 66% of the vote with only 26,000 votes. Didn’t help that Stacey Dash got the LAGOP endorsement for this seat and then dropped out. 48th congressional district: Rohrabacher gets 30%, will face Rouda or Kierstead, both who have 17%. 73 vote difference last I checked. Also, Rohrabacher has been subject to the worst Russia conspiracy attacks since Joseph McCarthy was active. 26th congressional district: Antonio Sabato Jr (23%) will face incumbent Brownley (53%). Jeffrey Burum (R) got third at 20%, so this could be a close race. 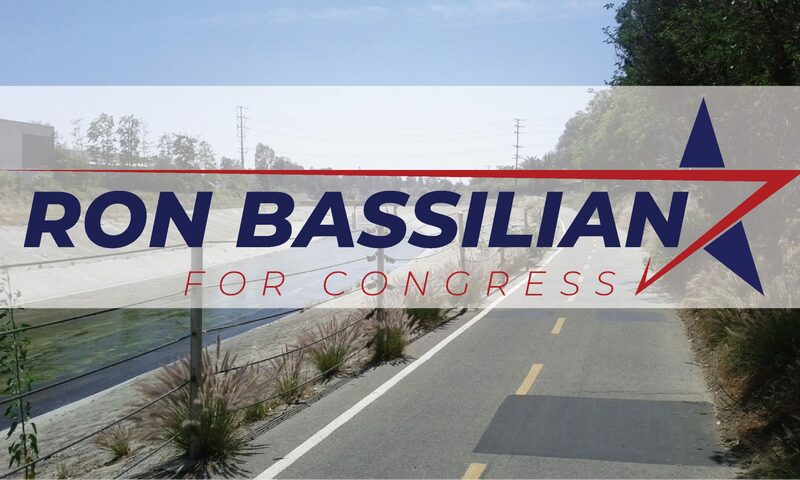 District 49 was vacated by Darrell Issa’s retirement. Diane Harkey (R) got 26% and will face Mike Levin (D) at 17%. This was a deep field with Democrats and Republicans splitting the voters 50-50. Gonna be a close race. District 8 is Joshua Tree, which I’ve been visiting a lot since I have a college buddy who lives up there. It’s the one race I’ve seen with two Republicans facing off. Paul Cook will (41%) will face off Tim Donnelly (23%). And our friend Patrick Little, the white supremacist so-called “GOP front runner” by so many news agencies, came in at 1%. That’s about 50,000 votes, which is about how many CA voters I’d expect think the Jews control the government. Wonder how many of them are Democrats. It’s hardly the 18% that The Forward attributed to him as front runner status back in April. Though the Forward didn’t apologize for this earlier claim, they did keep up the bugaboo with this post.